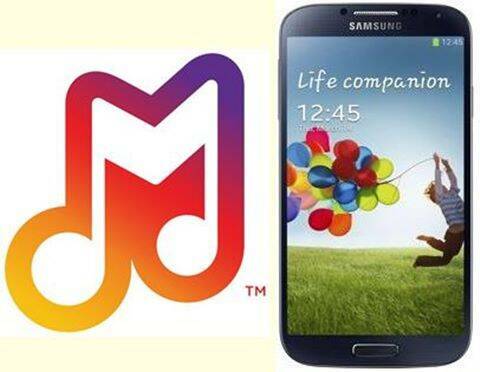 Samsung on Friday unveiled a new free music service for its phones that it touts as a significant improvement from the apps already on the market. The South Korean gadget maker’s Milk Music service, which launched in the U.S. on Friday, includes over 200 stations and 13 million songs. It’s designed to be extremely fast, easy to use and highly customizable. But the new service enters an already crowded space. There are numerous streaming music services, including Pandora, Spotify and Apple Inc.’s iTunes Radio. “We feel that while the music space is very competitive there is room for improvement,” said Daren Tsui, vice president of music at Samsung Media Solutions. Samsung’s app features a large wheel reminiscent of an old-fashioned radio tuner. Users can spin through various genres of music to find something they like. Favorite stations can be added to a “My Stations” section, while individual songs can be tagged as favorites or put on a list never to be played. Milk is powered by Slacker, which operates its own streaming music service. But unlike Slacker, Milk is ad-free at no cost. While Slacker does offer a basic service for free, it charges users $4 a month to remove advertising. US users can now download the Milk app from Google Play. It works on most of Samsung’s Galaxy line of phones, but isn’t compatible with devices made by other companies.